Do you want to use up some of those Jelly Rolls that you bought on a whim and now don?t know what to do with them? And do you have scraps of batting laying around unused but too big to throw away. Well, here?s an idea ? Let?s make a rug. These Jelly Roll Rugs are fun to make and are really quite pretty. They are completely washable so no worry about putting them on the floor. 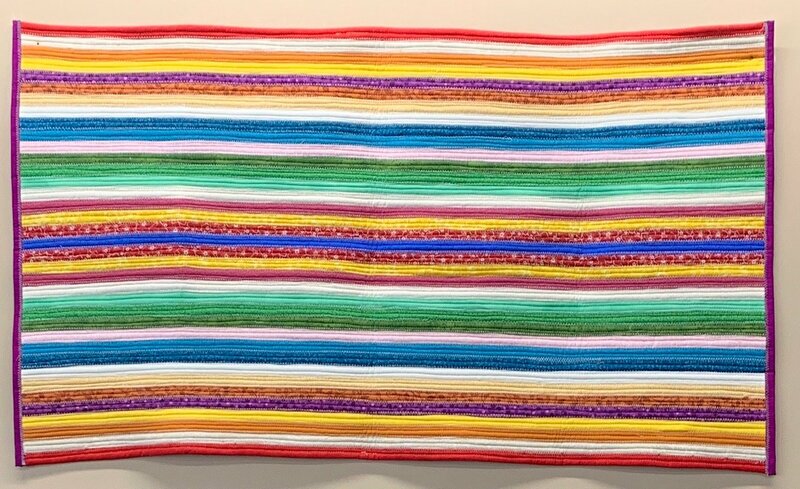 Join us at Top Shelf Quilts and I will show you how to make this unique rug and we will have a fun time doing it.